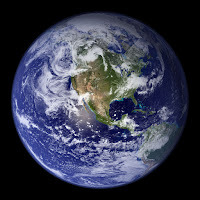 This is Earth Sunday as well as the Third Sunday of Easter. If you are including care of the earth in worship, include one or more of the hymns and books below. “All Things Bright and Beautiful” and “For the Beauty of the Earth” are songs about God’s world that many children know. 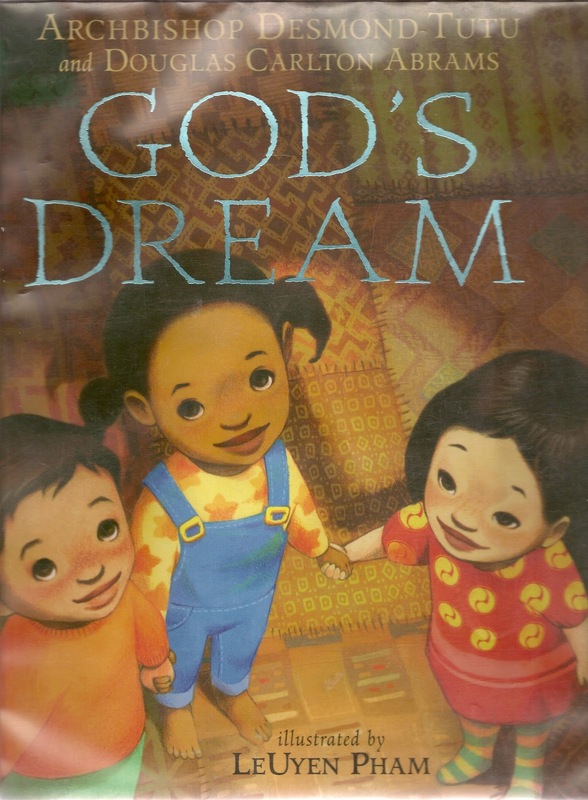 “Earth and All Stars” may be new to children, but especially older children enjoy all the specific descriptions of ways we use God’s creation. It could be the basis of good discussion about our partnership with God in caring for the earth. A Prayer Book for the Earth: The Story of Naamah, Noah’s Wife, by Sandy Sasso. This midrash gives Noah’s wife the job of gathering seeds to take on the ark and then plant after the flood. She sends the seed for the olive tree out with the dove instructing him to drop it in a good place. The Lorax, by Dr. Seuss, describes a single Once-ler destroying the whole environment in order to convert the puffy tops of the Truffula trees into thneeds he could sell. At the end he entrusts the single remaining tarfuffle seed to a young boy hoping he will plant, tend, and use it better than he had. The gospel and epistle readings for this week are hard to read together. In the gospel the disciples (presumably including Peter and John) are confused and disbelieving. In the epistle Peter and John have healed a lame man and are boldly defending Christ to the Council. What is missing, of course, is Pentecost which comes between them. Rather than try to explain that, I’d choose one or the other, not both for reading today. 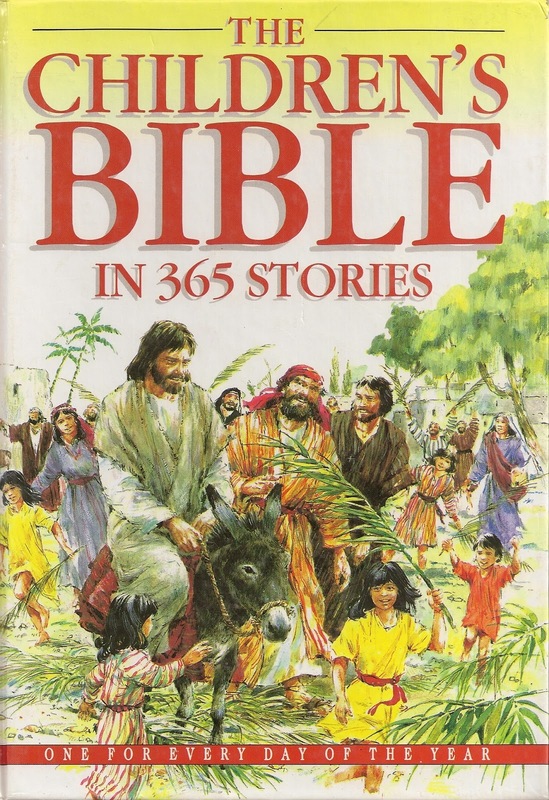 Prepare a group to pantomime the story as it is read from the Bible. The group could be an older children’s class, but a youth or adult group will offer more nuanced facial expression, especially during the Council meeting. A good rehearsal with time to ponder how people felt and reacted at different points in the story will help the actors more fully appreciate what was going on and enable them to communicate that with their faces, posture, and gestures. As a result, children in the congregation will understand the story more fully. The pantomime requires a minimum of 7 actors, but the Temple crowd and the Council could include more as needed. Since I am writing this just after the 10 Commandments were read on the Third Sunday of Lent, I also wonder about connecting to the commandment to use the name of God (and Jesus) appropriately. NOTE ADDED WHILE PREPARING FOR THE FOURTH SUNDAY OF EASTER: Next week all the texts except the Acts text connect to love and good shepherd themes. I'm not sure where that leads you, but it seemed worth knowing as you plan when/if to work with this text. The psalmist feels that his honor has been besmirched. Children will not hear that as the psalm is read, but they know what it is like to be looked down on, dissed, discounted, overlooked, bullied, etc. Especially near the end of a school year, those who for a variety of reasons do not feel successful at school, can feel hopelessly trapped and doomed. It is no accident that most school shootings happen in the spring. All children need to hear the psalmist claim that only what God thinks of them is important. No teacher, bully, snobby classmate, or disloyal friend can define them. Only God does that and God says, “I created you and love you. You are not junk.” The pastor at the university based church I attend, reminds all the students the Sunday before every exam week that their worth is not determined by any grade or any teacher’s evaluation. Only God has the right to decide their worth and God has declared every one of them is loved and worthy. We need to get that message to children as well. Psalm 4:8 is probably the best verse of this psalm for children. “I will both lie down and sleep in peace; for you alone, O LORD, make me lie down in safety.” Use it to celebrate the peace with which we can settle down to sleep at night. Describe being tucked in with a story, a prayer, and lots of hugs. Link it to living like God’s children (1 John 3:1) or to Christ’s gift of peace (Luke 24:36). 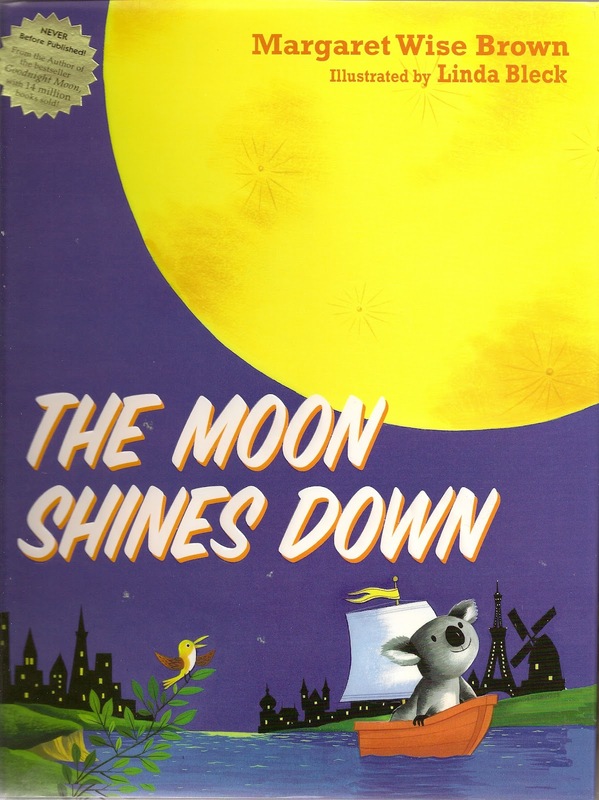 The Moon Shines Down, by Margaret Brown Wise, describes children settling into sleep all around the world. Each description ends with “God bless the moon and God bless me, And God bless“…the children in that country. Only a child snuggling in bed would want to read about all 10 places included in the book. In worship, I’d choose five or six to read. If children know the round “Dona Nobis Pacem,” this would be a good time to ask a children’s group/class/choir to sing it in worship or to sing it as a whole congregation. This writer takes up the psalmist’s message. Who are we? We are the children of God! God created us and loves us. No matter how other people treat us, we know that God loves us. Period. End of discussion. If you are Presbyterian, this would be a good Sunday to introduce the first questions of the Children’s Catechism. The first two questions may be enough for the day, but the first six might help you unpack John’s whole message. If you are not Presbyterian, but have a children’s catechism, check it out. Answer: I am a child of God. Question 3. What makes you a child of God? Answer: Grace -- God's free gift of love that I do not deserve and cannot earn. Question 4. Don’t you have to be good for God to love you? Answer: No. God loves me in spite of all I do wrong. Question 5. How do you thank God for this gift of love? Answer: I promise to love and trust God with all my heart. Question 6. How do you love God? Answer: By worshipping God, by loving others, and by respecting what God has created. Before singing “God, Who Stretched the Spangled Heavens” invite worshipers to open their hymnals and look at the words with you. Read through the words, stopping to comment or put a few phrases into your own words. Pay special attention to the phrases that describe “we your children.” Verse 3’s “serving others, honoring You” and “Great Creator give us guidance till our goals and Yours are one” complete this prayer about living as God’s children. Go to Ralph Milton's Rumors Blog for a reader’s theater script for this text. Scroll down almost to the end of the post to “Scripture Story as Reader’s Theatre – Luke 24:36b-48.” Either read the whole script or start with the biblical conversation between Jesus and the disciples. Only two readers are needed to bring this conversation alive and grab the attention of the children. This is a great story with which to explore what Jesus was like after the resurrection. His friends recognized him (at least in this story they did). But he was different. He could appear inside a locked room. But he wasn’t a ghost. They could touch him. He could eat a piece of fish. His body was new and different. But he was also the same old Jesus they had known. He talked to them about everything that had happened and explained it to them. It was and is very mysterious. No one understands it fully. Point out the details and enjoy the mystery. After Lent the words repent and forgive should be at least a little familiar. Today present them as a pair that belongs together. One way is to do this is to write them in large letters on opposite sides of a piece of poster board. Briefly define each word. Repent means try to do better. Forgive means it is OK when you mess up. Then point out that it would be really scary to repent if there was no forgiveness. It would be too scary to try anything we might get wrong. Turning to the forgive side, note that because we have God’s promise that God forgives us when we mess up, we can try anything for God. We are safe. We can dare anything. There are two sets of words for this. One is meant to be sung with the story of Thomas. Use the other set that has us sing of the women on Easter morning, the disciples meeting Jesus in the locked room and us worshiping together today. There are still more Easter “Alleluias!” here for the non readers! This should really be titled “Christ is Alive TODAY!” Point this out. Read verse 2 putting its message into your own words. Then, invite all to sing it. This is an especially good follow up to a discussion about what Jesus’ resurrected body was like. Children enjoy the difference in the sad verses and loud upbeat chorus. Emphasize the difference with music. Thank you, this blog is such a blessing to me and to our congregation. Here I am preparing for tomorrow, feeling exhausted and sick, but I am heartened and encouraged and helped by your very thoughtful lessons. Thank you so much. I hope you feel better and that a sense of energy returns soon. Peace and blessings.